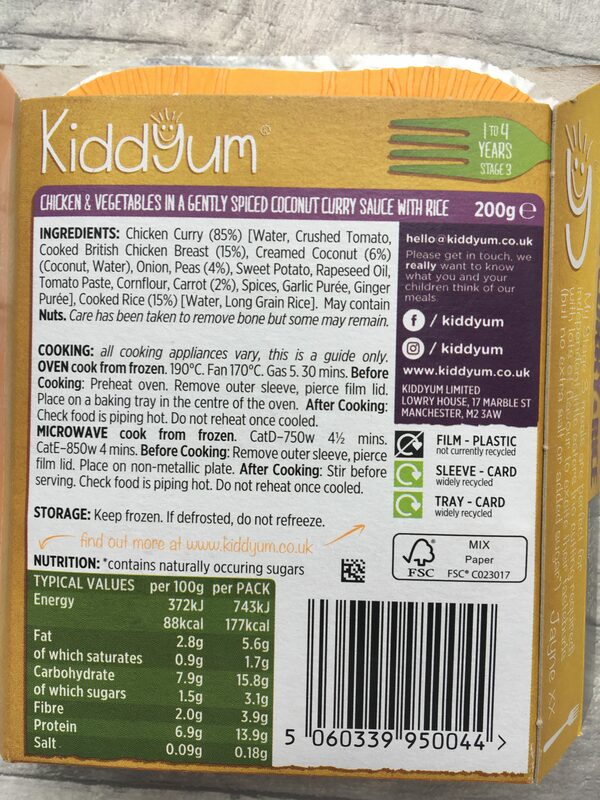 Freddie is now over 14 months old and loves his food a lot and lets you know if he is still hungry by saying “more”. I try and cook everything from fresh so when I cook something for us I will put some aside for Freddie but it is not always possible so it is nice to have a back up option in the house. When working full time it is sometimes hard so I like to keep some ready meals in the freezer for him. Weaning Freddie wasn’t hard as he eats pretty much everything you put in front of him which made it stress free. 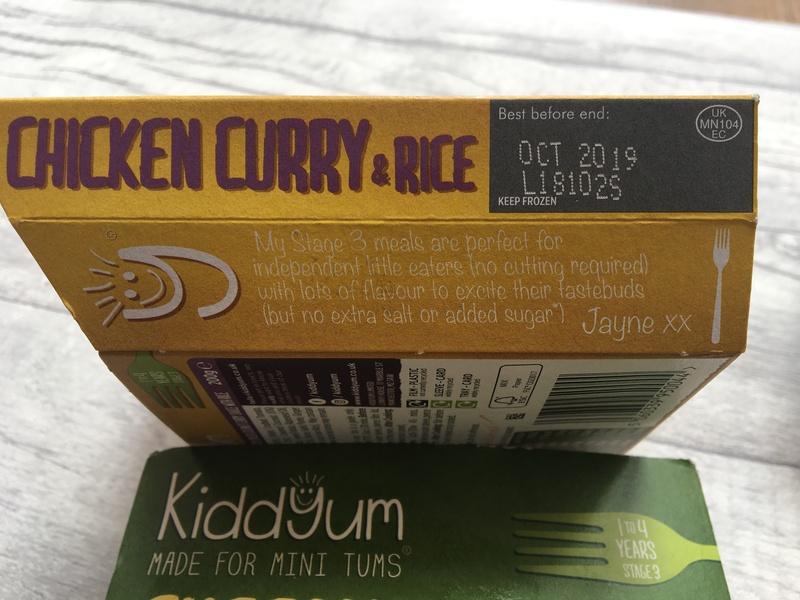 I was sent 4 of Kiddyums ready meals made by Jayne for review with Freddie. My husband gave Freddie the Chicken curry one and said he ate half of it, and did enjoy it, but I didn’t manage to get any pictures. He said it smelt nice and looked yummy. They can be ready in just 5 mins by microwaving them and following the instructions. 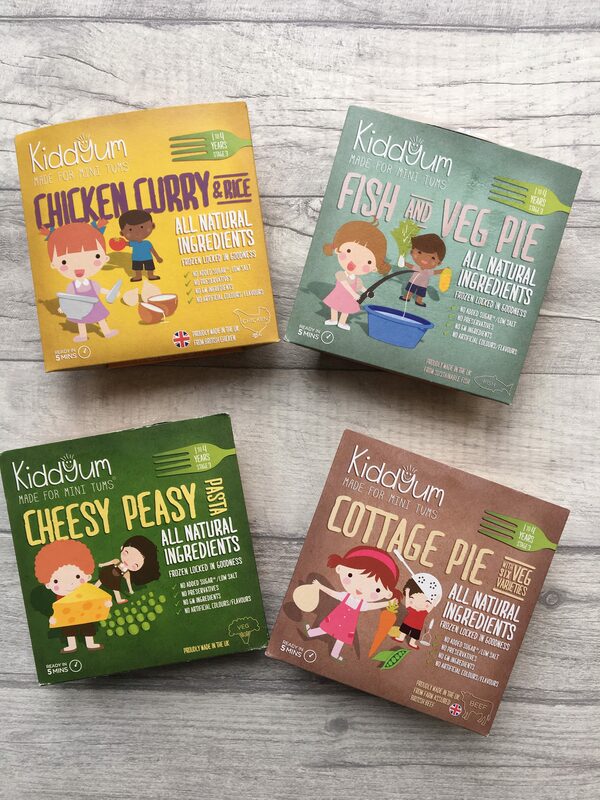 You can purchase them from Sainsburys , Ocada and Co op. 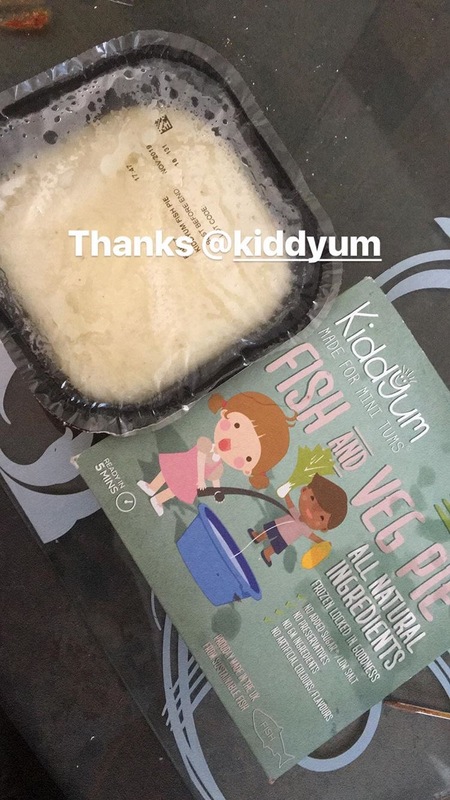 I tried Freddie with the Fish and Veg Pie and again he ate half of it, he has been off his food a little recently has hes been poorly with a cough and cold. It certainly looked tasty and had plenty of fish and veg in it with sauce too. *We were sent the above products for the purpose of this review. However, all thoughts and opinions are my own.